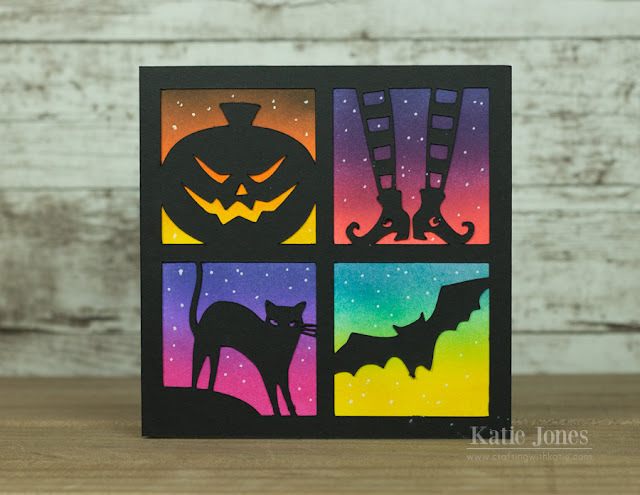 I found this fun Halloween Mosaic Card in the Silhouette Online Store, and I decided to combine it with some inking combinations I saw Kristina Werner use on some Halloween cards that she made recently. I just love the result! One of my students is OBSESSED with pugs! I knew I had to make a pug birthday card for him, and I found the perfect cut in the Silhouette Online Store. I added some googley eyes, which I thought was a great touch, as well as some Glossy Accents for his nose. 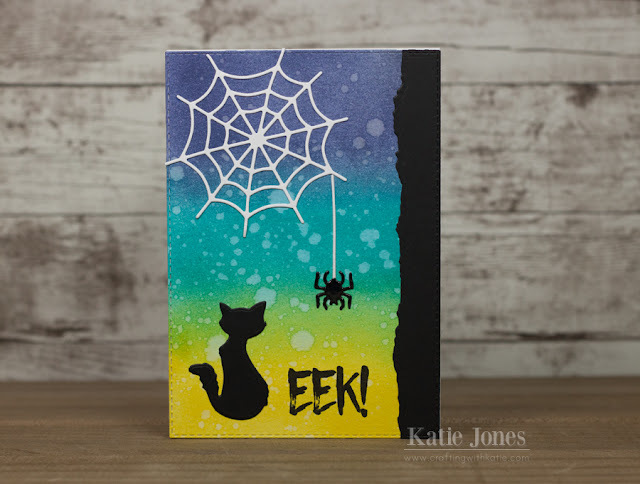 For the background, I die cut a rectangle using one of the My Creative Time Stitched Rectangular Frame Dies and ran it through the Vagabond with the Cuttlebug Honeycomb Embossing Folder. I finished off the card with a sentiment from the retired MCT Celebrate Good Times stamp/die set, stamped upon a die cut made with one of the MCT Stitched Square Speech Bubbles. I couldn't resist picking up the Gifts of the Season stamps and dies from Papertrey Ink! 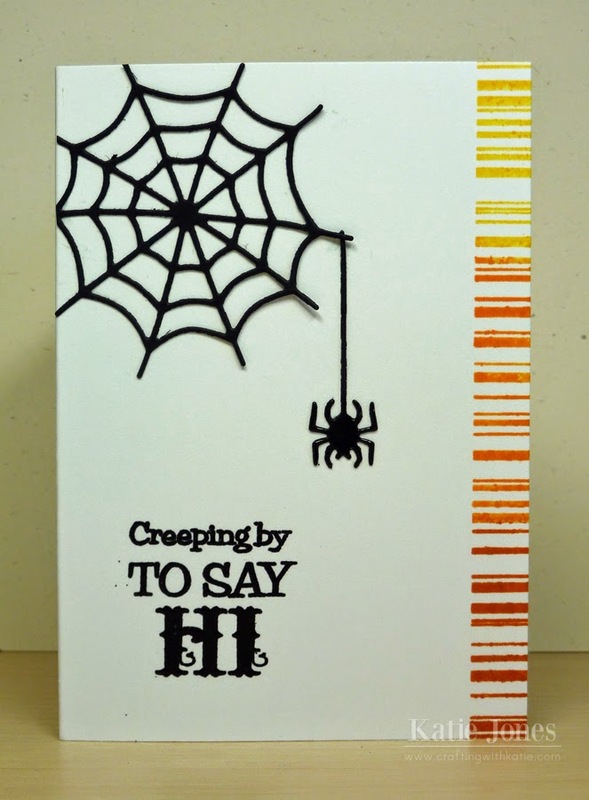 This is such a cute set that can be used for the holidays, or, as you can see on this card, for birthdays! I die cut the presents in white cardstock, and then used the two stamps that give all of the different patterns, using PTI's Aqua Mist and New Leaf inks. I then added a few more die cuts and popped them up with some dimensional adhesive, stamping some of them with Raspberry Fizz ink. A few Pretty Pink Posh Sparkling Clear Sequins added some interest. 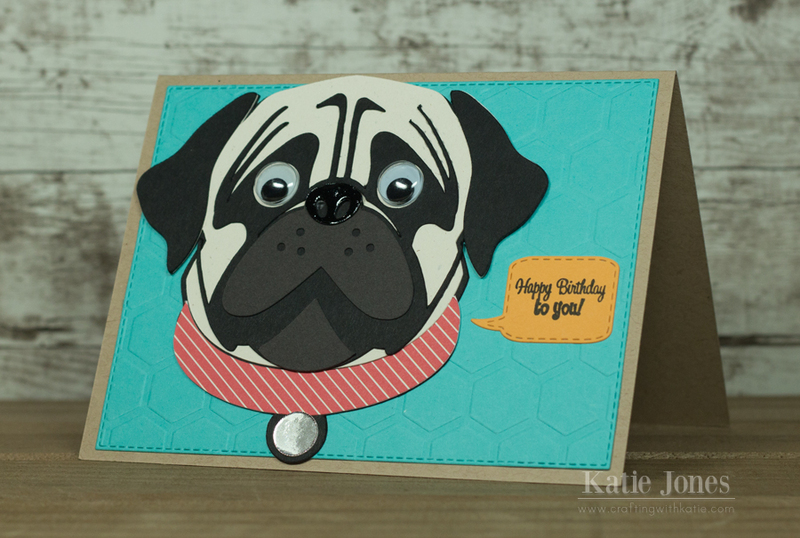 I covered the base of the card with a die cut made with the PTI Cover Plate: Stripes Diagonal Die. Finally, I added a sentiment die cut made with one of the My Creative Time Mini Greetings Dies.